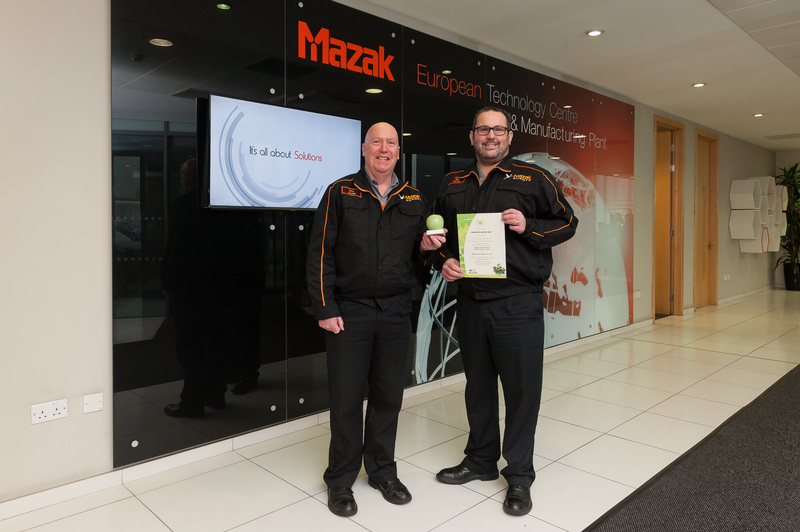 Yamazaki Mazak UK is proud to announce it has won the SILVER Environment Award at The International Green Apple Awards, for its efforts to reduce single use plastic cups at its European Manufacturing Plant in Worcester. The Green Apple Awards began in 1994 and have become established as the country’s major recognition for environmental endeavour among companies, councils, communities and countries. The awards are organised by The Green Organisation - an international, independent, non-political, non-profit environment group dedicated to recognising, rewarding and promoting environmental best practice around the world. The awards are supported by the Environment Agency, the Chartered Institute of Environmental Health, the Chartered Institution for Wastes Management, REHIS and other independent bodies.